I seem to be on a foundation roll recently! 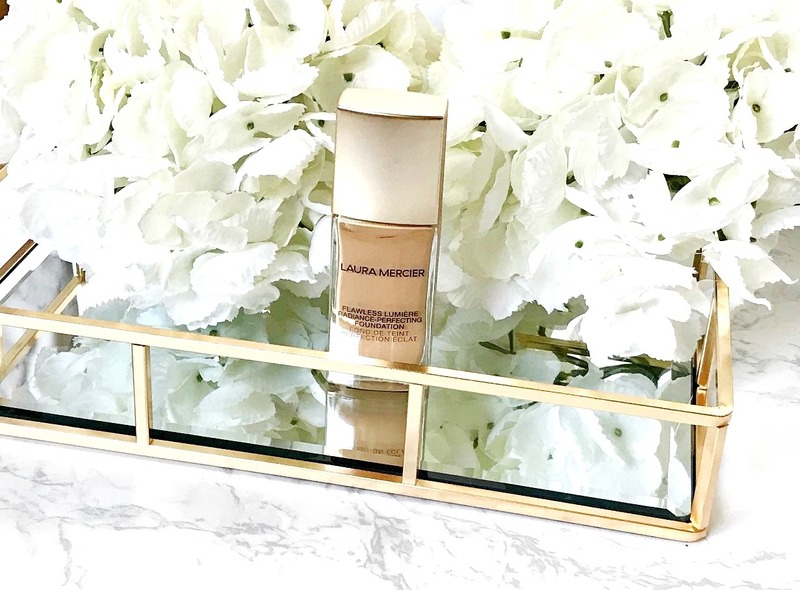 I probably (definitely) didn't need another new foundation but I am almost finished two bottles so pre-empted the 'one in, one out' mantra that I should be following with this Laura Mercier Flawless Lumiére Radiance Perfecting Foundation. It's a few years since I used a Laura Mercier base - Silk Creme was the last one and I really loved that and repurchased it twice but then just moved on to other foundations. Everything about this one just screamed my name - the description said that it's undetectable, natural-looking, hydrating and with an illuminating finish. But does it live up to the description? Texture: Lightweight liquid but not watery. It doesn't feel at all heavy on the skin. Application: Like all foundations I use, I tried it with a buffing brush, beauty blender and my fingers. It actually works well with all three methods but my personal preference is with my fingers. Shireen from Reflection Of Sanity mentioned that she has been applying foundation in this way and it reminded me that I used to always just use my fingers and I tried it again and remembered why I loved it so much - it really makes foundation mesh with your skin for a seamless look. Coverage: It's described as medium to full coverage but I personally think that it's a solid medium, which can be built to fuller coverage but not completely full. I wouldn't say that it's 'undetectable' as per the description but it doesn't look at all heavy. Finish: It looks very natural on the skin - neither matte nor dewy and not quite satin. It diffuses the appearance of pores and fine lines and looks pretty flawless and polished. It makes the skin look plump, elasticized and healthy - it contains silver ear mushroom extract, which hydrates the skin and Vitamin C, which will brighten the skin over time, with continued use. Wear time: It's pretty much budgeproof on my dry skin for a good 8/9 hours. Shade Range: There are 30 shades available. Overall thoughts: I can see this becoming one of my most used and most loved foundations. I love the polished look it gives my skin without looking or feeling too heavy. My skin looks smooth and plump, which I love and feels hydrated but not greasy or like there is a layer of product on my skin. I don't need to wear powder with it and minimal concealer. It doesn't settle into fine lines or go patchy over time. Overall, this is a really gorgeous foundation for those with dry or normal skin who want medium coverage with a natural finish. £36 for 30ml from Cult Beauty, Space NK & Feel Unique. Does this sound like your kind of foundation? I'd love to hear!